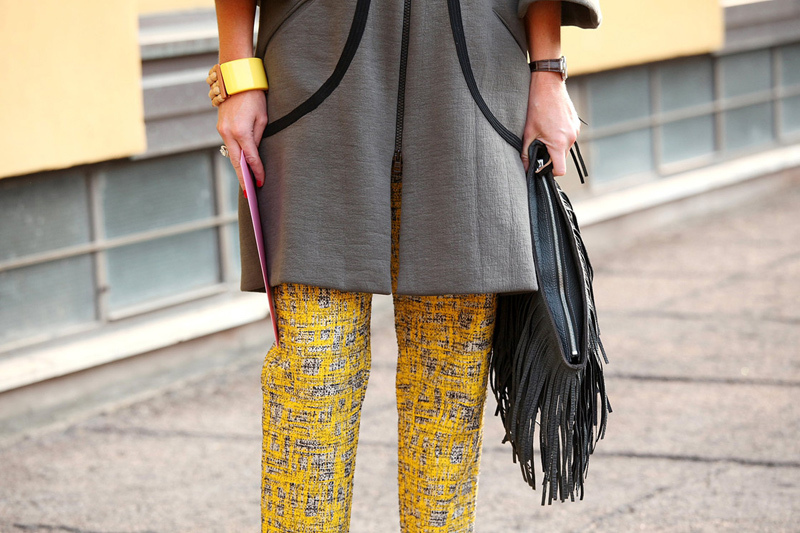 I'm loving the bright pops of yellow we're seeing on the streets during Milan Fashion Week. It might be time to dig out a yellow clutch from the fox lair.. Totally agree with you about how amazing these pops of colour are. I actually just posted about how popular yellow is at the moment and how was are seeing it over and over again in the fashion week coverage. Much love for this blog! Perfect for the Australian summer! I love seeing all the street style photographs, outfit inspiration galore. Love the first photo, the flow in the skirt, the background and the composition - everything! any idea who makes the jeans in the second picture? 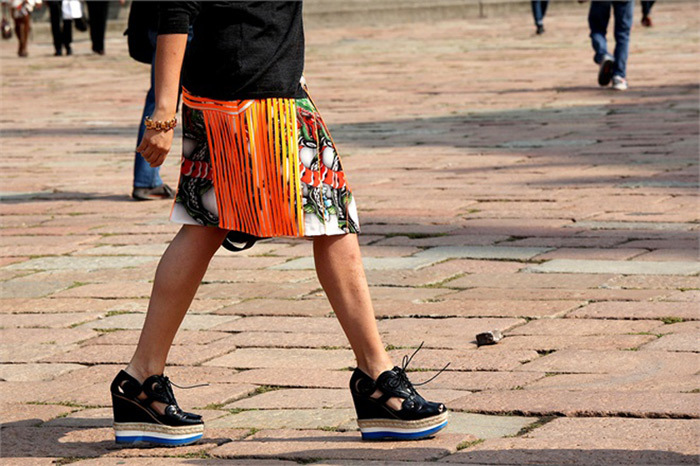 The streetstyles are really inspiring! 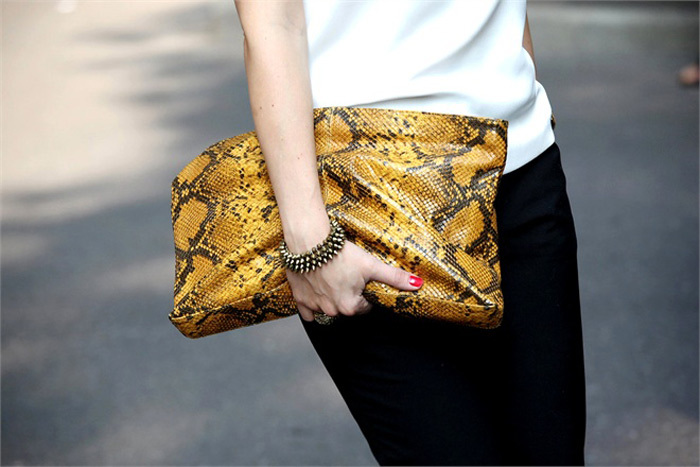 That snake skin clutch is insane! 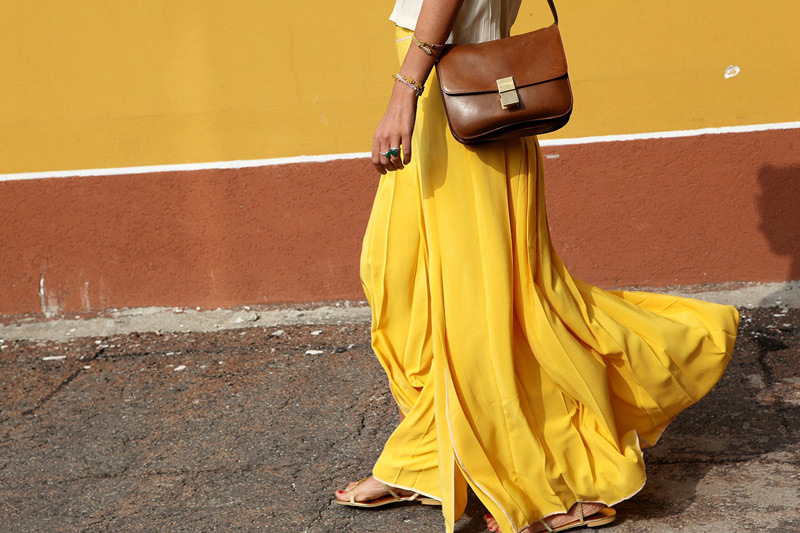 i love the yellow skirt and trousers! Gorgeous photo's. Loving yellow at the moment!